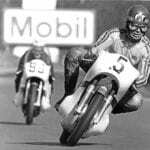 It was only a single day of being patient – in both senses of the word, being parked in a day ward awaiting surgery on my throttle hand’s damaged ligaments – but it was a day that resulted in a chance to catch up with some reading. No, what I mean is that I’ve caught up with the motorcycle books and magazines that have been piling up on my desk. Some of those books are reviewed within these pages, others I’ve yet to even flip open the cover. But, amongst that reading material were a few back issues of OBM, kept for reference and inspiration. And inspire me they did. 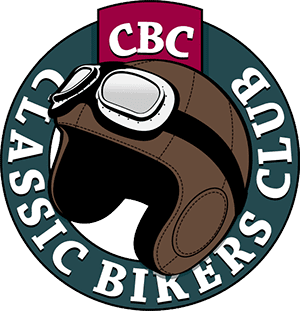 One of the pieces that I re-read was an editorial written by previous editor Pete Kelly, about the reducing numbers of classic bikes being ridden. 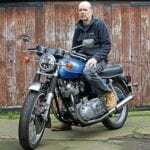 Pete had gone over the reasons given then, and I feel it deserves a review now, given that of late I’ve spoken to a few people who have become reinvigorated about the classic motorcycle scene – some of them being folk who many really wouldn’t expect to be riding such old machinery. And, reflecting Pete’s thoughts, a common topic of discussion within the pages of OBM, and of the other titles that I looked over during my day in hospital, was the increasing price of classics and the ‘investment scenario’ that is, potentially at least, taking bikes off the road as they get stored in private collections instead of being used as they should be – motorcycles built to be ridden and enjoyed. 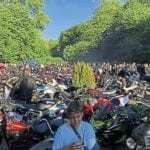 And it’s clear that there’s a correlation between any reduction in the number of classic bikes being ridden and the cost (or, to be more precise, value) of the bikes themselves. 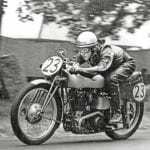 Conversely, some of the people who have stated that a classic bike is too valuable to use also have a modern bike, of equal or greater value than the classic machine that they yearn for, or even own yet refuse to ride! A modern bike that will only be reducing in value as it’s used, while the classic will certainly not lose value, even if it’s being used on a regular basis. I heard one gent suggest that if someone really wanted an expensive classic bike, they would find a way to pay for it. Now, aside from resorting to bank robbery, there is no way that I would be able to afford a Flying Squirrel, unless I sold my house and then I’d be living under a tarpaulin next to my classic Scott… Yet there are fans of steam traction engines, commercial aircraft aficionados and train enthusiasts around the globe, and how many of them can afford the objects of their desire? Mind you, there could be other reasons dissuading folk from the ownership of classic two wheelers. Some may have an unreasonable fear of being mocked due to a lack of knowledge about their classic bike of choice, although the ‘rivet counter’ type of classic bike buff does seem to be in the minority nowadays, with most marque experts just happy to see their favoured models being ridden, rather than restored to absolute factory standards only to be locked in an airless bubble for the rest of eternity. Having chatted to various people about the potential for joining in with classic bike riding, one particular thing that seems to crop up – which I’m certain will create some heated discussion – is the ‘Sam Brown’ belt, the dayglow aid to visibility that has oft been derided and reaches its zenith with the full size bright yellow dayglow bib. 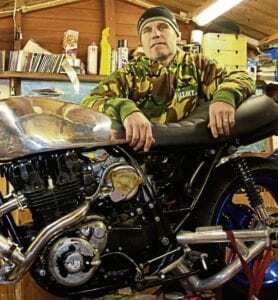 Any claims of a classic bike being unreliable or incapable of coping with modern day traffic are easily countered – as Steve Cooper states in his feature on page 16. When a bike that is undoubtedly a classic holds its own as a modern form of transport, you’ve not really got an excuse have you? And can we improve the situation? Yes – just carry on doing what we like doing best! Buying, restoring, rebuilding and (above all) riding classic bikes. There’s no better way to inspire someone to own a classic than by being seen out and about on one. Ride to shows, pubs, transport cafes, rallies and even just to work, and don’t just limit your rides out to club runs. 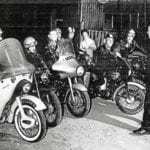 After all, while club meetings are fantastic, they are preaching to the converted… if we are to expand the scene, then we need to talk to youngsters and the non-experienced about owning, riding, and maintaining an old bike. And why not lend your own bike to a potential convert? Of course, there is one very good way of persuading other riders to own (and use) a classic bike. 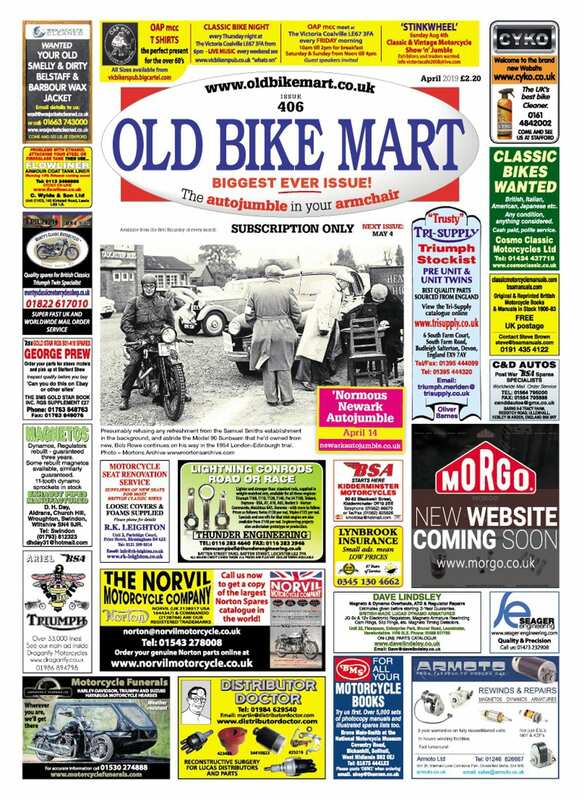 The powers of inspiration and aspiration are much underrated… and your stories of bravery and derring-do aboard your classic steed (or even just how many times your C15 breaks down) are a vital part of Old Bike Mart. And that’s something that we want to carry on – by regaling your stories in these pages we can continue the passion, enthusiasm and knowledge, and help to give classic bikes the positive future that they so deserve. We look forward to hearing from you!